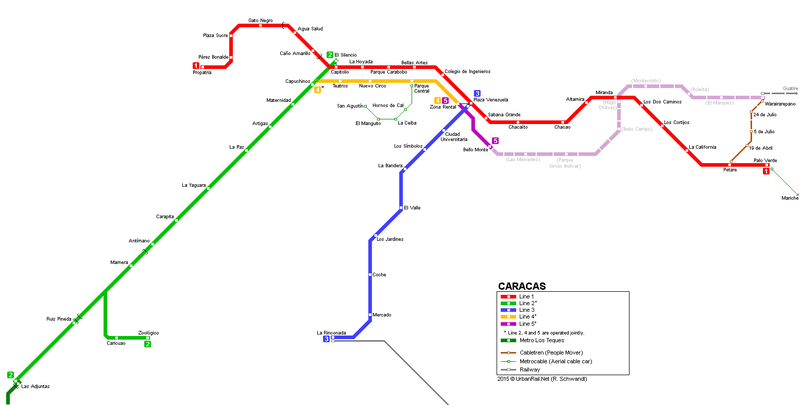 Click on map to expand for Metro Los Teques! The capital of Venezuela, Caracas, grew very rapidly during the 20th century due to the country's important oil industry. Today it has some 4.5 million inhabitants. The city spreads out along a main valley with several smaller side valleys. This geographical situation predetermined the alignment of the city's first metro line. 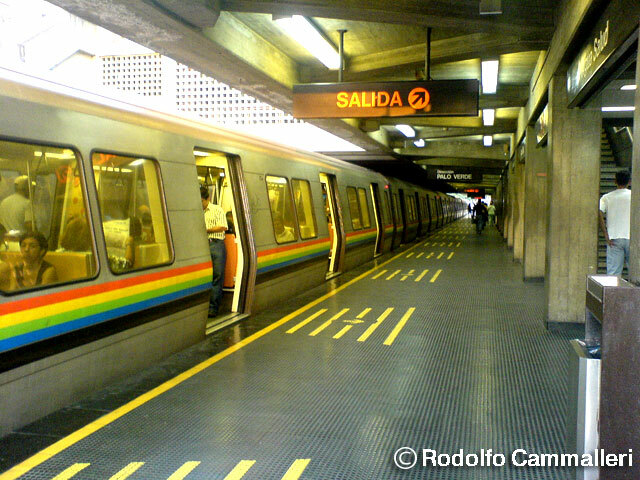 The initial section of Line 1 opened 2 January 1983 between Propatria and La Hoyada (6.7 km). Two months later it was extended to Chacaíto. 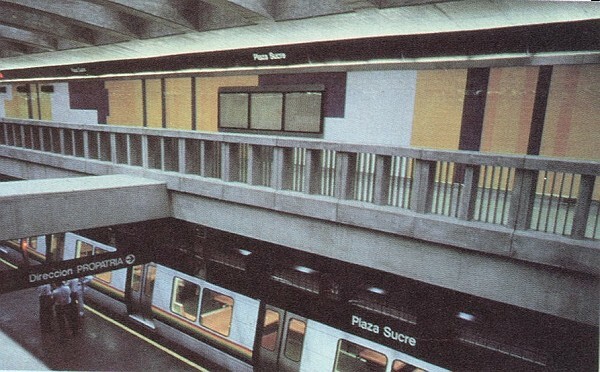 In 1987, the southern section with two branches of Line 2 (La Paz - Las Adjuntas/Zoológico) was finished and in 1988, Line 1 was extended to Los Dos Caminos. 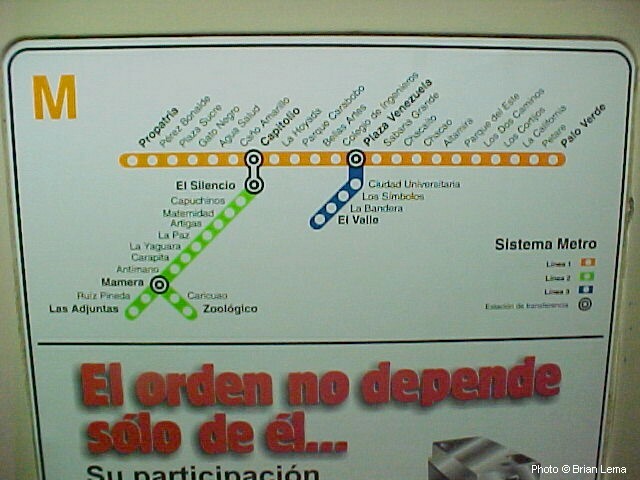 That same year Line 2 was linked to Line 1 at El Silencio. 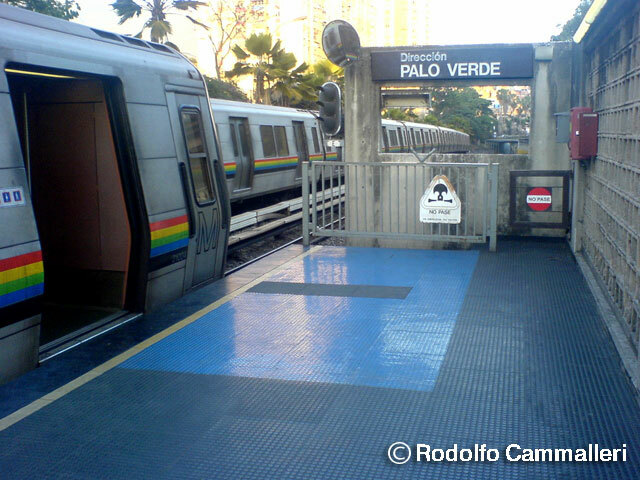 In 1989, Line 1 reached its eastern terminus Palo Verde and finally in 1994, the new Line 3 started revenue service between Plaza Venezuela and El Valle. 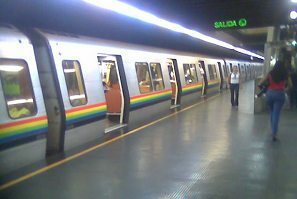 In 2010, Metro de Caracas, operated by CAMETRO, had a total length of 54.1 km with 48 stations: Line 1 - 20.4 km (18 km underground) - 7-car-trains - max. 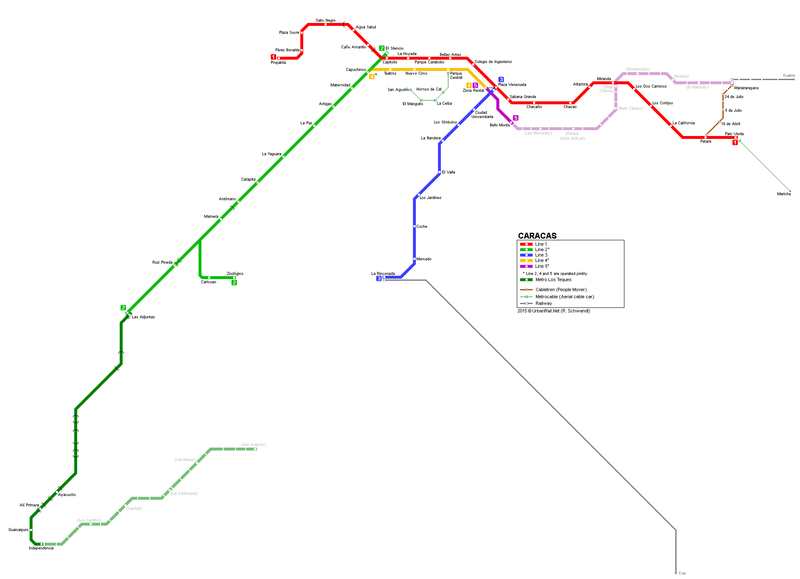 33 trains in operation; Line 2 - 17.8 km (9 km underground) - 6-car-trains - max. 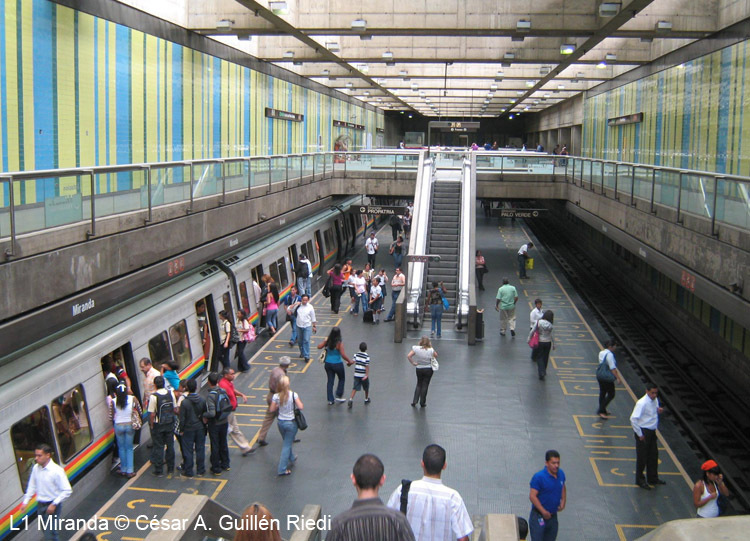 14 trains; Line 3 - 10.4 km - 6-car-trains; the metro is complemented by a metro feeder bus system called Metrobús. 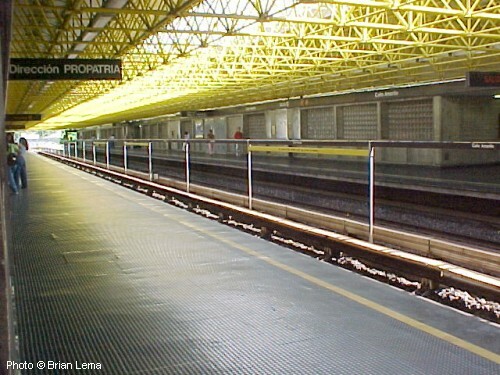 In 2000, construction of the western part of Line 4 (Capuchinos - Zona Rental, 5.5 km) began to alleviate congestion on Line 1. 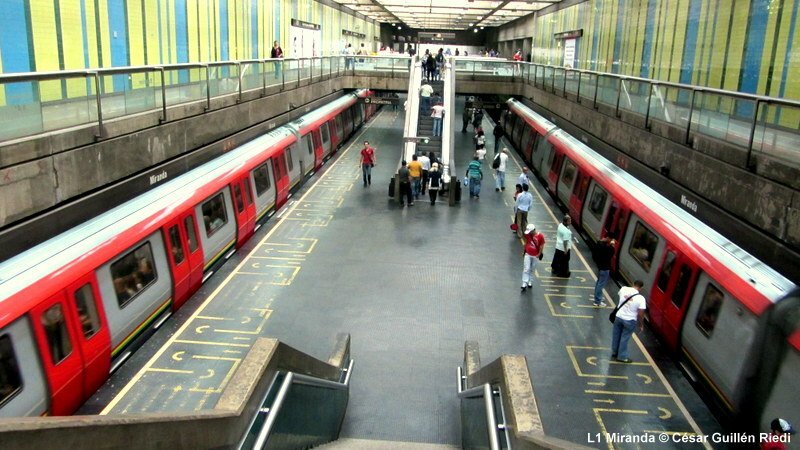 Contracts were awarded to a consortium of Brazilian companies (Metro Línea IV). 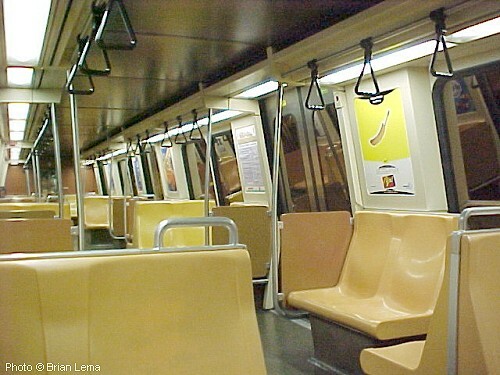 This section opened in July 2006 and is now operately jointly with Line 2; the Line 2 section between Capuchinos and El Silencio is served by a shuttle train instead. 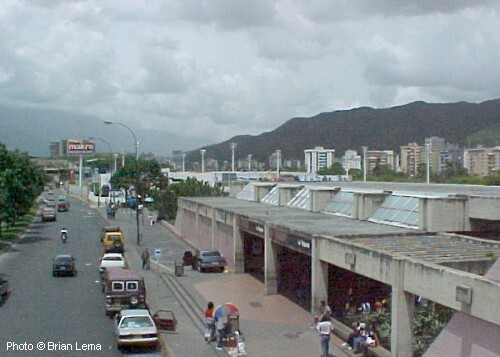 Metro Los Teques is a suburban line that connects Las Adjuntas (terminal station of Line 2) with the town of Los Teques (El Tambor station, now Alí Primera) along the San Pedro river with 4-car-trains every 5 minutes (9.5 km - 10 minutes ride). It was later extended into this satellite town. 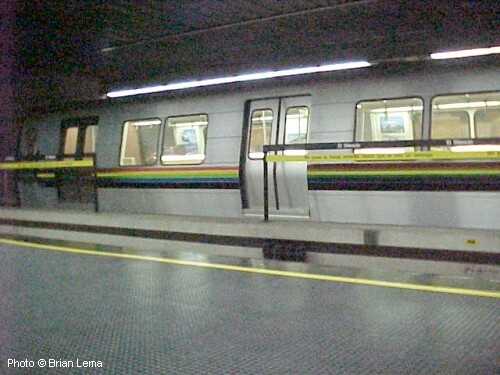 Similar to that in Medellín, Caracas also has a Metrocable, a cable car linked to the metro system. 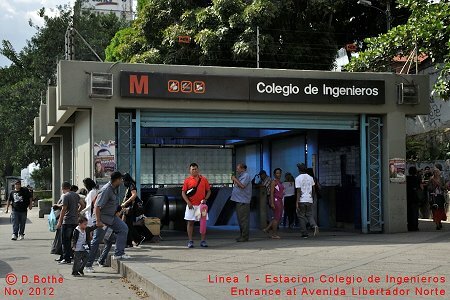 It opened on 20 Jan 2010 and runs from Parque Central metro station towards the south (1.7 km), with five stops: Parque Central, Hornos de Cal, La Ceiba, El Manguito and San Agustín (photos). 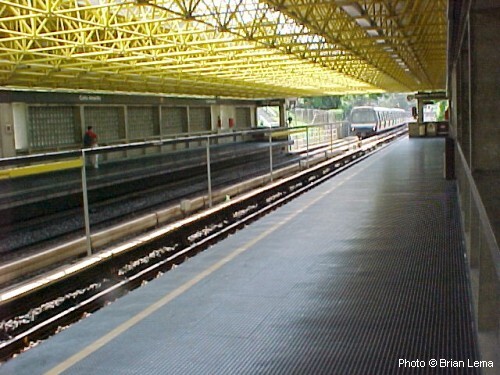 A second route from Palo Verde to Mariche (4.8 km) was brought into service on 10 Dec 2012. 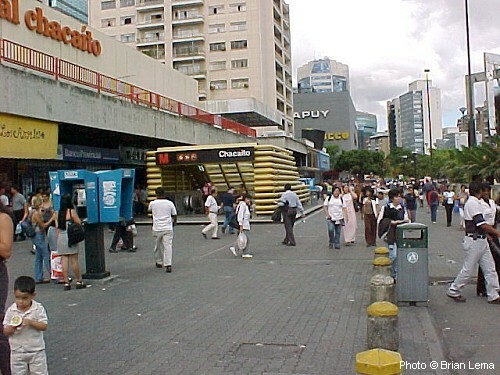 Miranda used to be called Parque del Este until 2008. 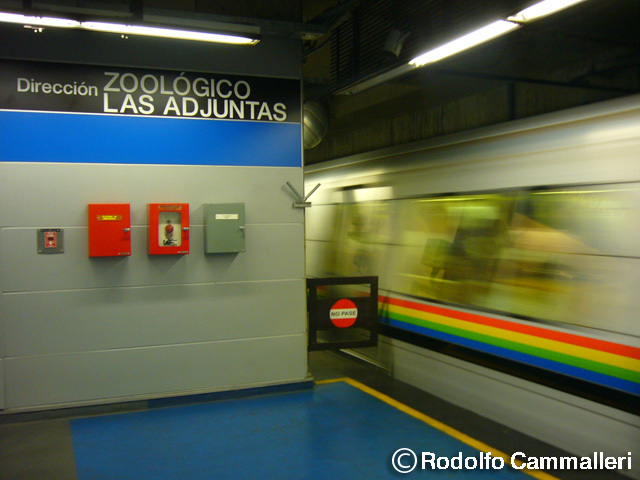 View our large Caracas Metro Gallery! 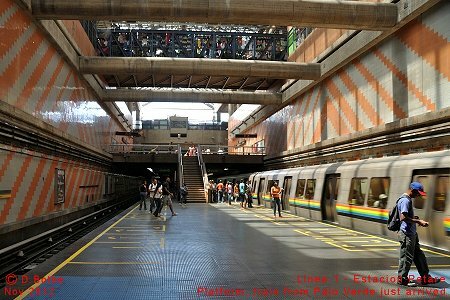 In 2006, construction of the eastern part of Line 4 (Zona Rental to Miranda/Parque del Este, 6.3 km) began; the first section opened in Nov. 2015, now labelled "Line 5". 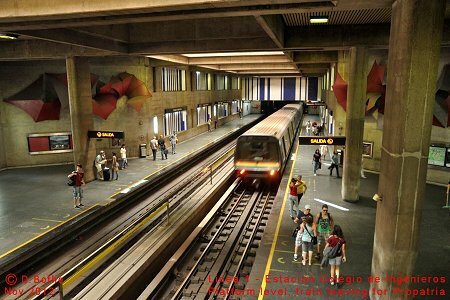 Metro Los Teques is being extended to San Antonio (~10 km - 5 stations). 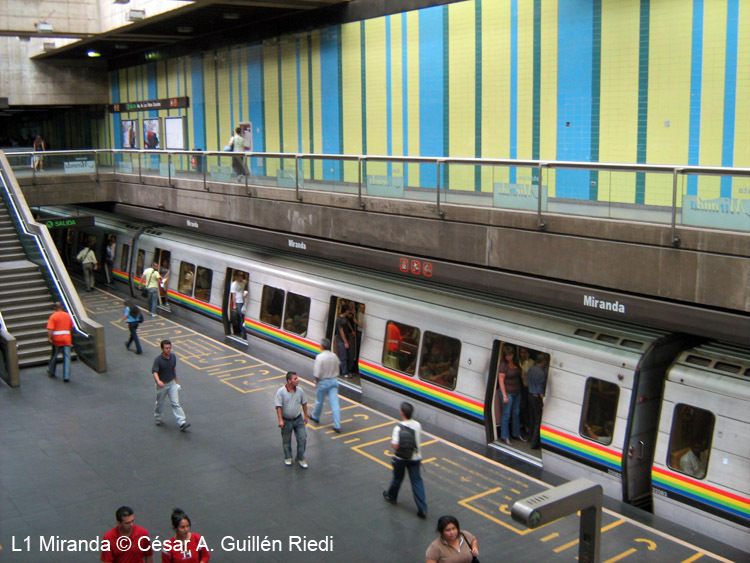 Metro de Guarenas will be another suburban line starting from metro station Miranda (formerly Parque del Este) and running eastwards to Guarenas and Guatire (approx. 40 km; 2011). 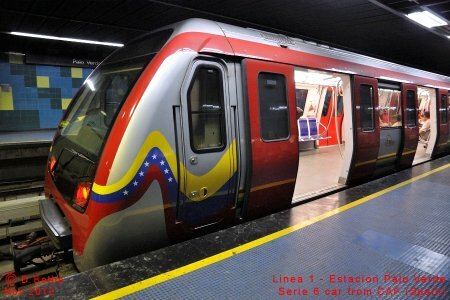 On the 7.2 km section within Caracas, a metro-like service will be provided. Four stations will be located in Guarenas and Guatire, and two may be added later. 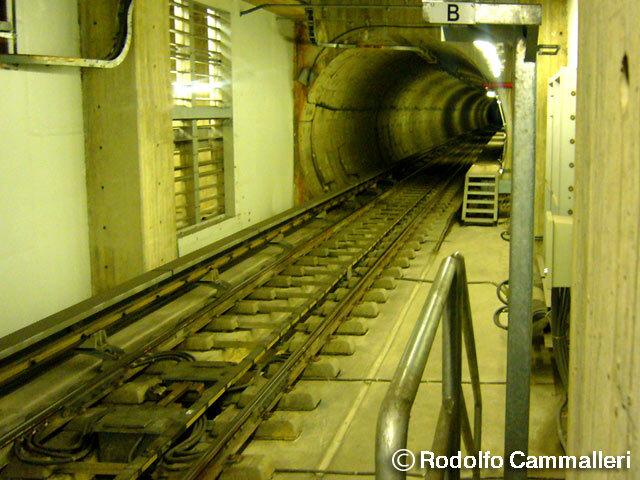 About 50% of the entire route will be underground in mostly bored tunnels.